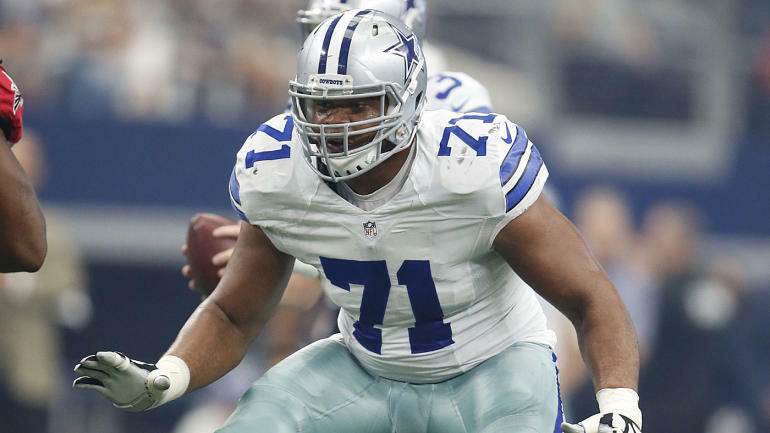 Cornerback Byron Jones and newly-paid defensive end Demarcus Lawrence won’t be the only big-name Dallas Cowboys sidelined until training camp, as right tackle La’el Collins is reportedly recovering from a torn rotator cuff. According to Clarence Hill Jr. of the Fort Worth Star-Telegram, Collins “will be sidelined throughout the offseason rehabbing from surgery” and “said the Cowboys plan to be cautious with him throughout OTAs and minicamp.” He apparently suffered the torn rotator cuff late in the 2018 season and had it repaired shortly after the team’s final playoff game in January. He promises, however, to be on the field for training camp in July, per Hill. Jones and Lawrence had already been scheduled to miss most of the Cowboys’ offseason program, with the former undergoing hip surgery in March and the latter expected to rehabilitate for three to four months from a shoulder operation. And while the pressure is on Lawrence to live up to his new $100 million contract, there might be even more on Collins, who’s entering a contract year and has produced mixed results since moving from guard to right tackle in 2017. A coveted tackle prospect out of LSU, Collins went undrafted in 2015 after an apparent legal misunderstanding off the field before landing a three-year, fully-guaranteed deal with Dallas. After 14 starts through his first two seasons, he converted to right tackle following the retirement of Doug Free and inked a two-year extension with the Cowboys through 2019.